1.) 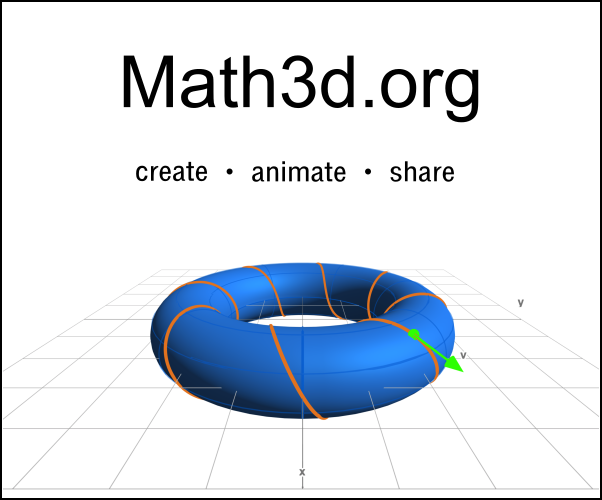 Construct a horizontal ray AB and a segment AC at an angle to the ray. Locate point D anywhere on ray AB and construct the segment CD. 2.) Construct the angular bisectors of angle ADC and ACD. 3.) Construct the intersection of E of the two bisectors. 4.) Construct the perpendicular of ray AB to point E. 5.) Construct the intersection of F of the perpendicular and AB. Construct the segment EF and then erase the two angular bisectors. The point E is moving along a certain entity, which in fact is the bisector of angle BAC. Prove that this is indeed so, i.e. 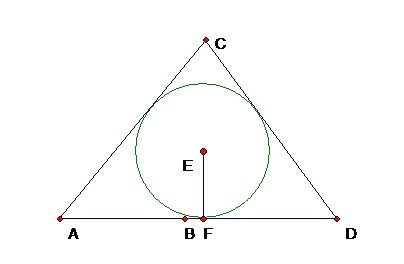 that the point E lies on the bisector of angle BAC. I constructed the figure, I want to make sure it is correct. Also, I'm not entirely sure how to prove that E lies on the bisector of angle BAC. Any ideas would be appreciated! You are essentially asking for a proof that the three angle bisectors of a triangle are concurrent. The proof is easy. The key idea is that a point lies on the bisector of $\angle D$ iff it is equidistant from the lines $AD,CD$. So by construction the point $E$ is equidistant from the lines $AD,CD$ and also equidistant from the lines $AC,CD$. Hence it is also equidistant from the lines $AC,AD$. Hence it lies on the bisector of $\angle CAD$, otherwise known as $\angle BAC$. Not the answer you're looking for? Browse other questions tagged geometry circles triangles proof-explanation angle or ask your own question. Prove that OD is a the angle bisector of the angle BOC. Prove that the value of $\angle BAC$ is equal to half the difference of the angle measures of the arcs of the circle confined inside this angle.